has a background in Theatre, English, Dance and Education. She has performed, directed and taught in her native Canada as well as the US, and her focus for the last ten years has primarily been children’s experience with Shakespeare as both process and performance. 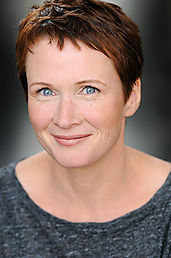 In 2009 she earned her MFA in Dramatic Arts from UC Davis; she’s delighted to be back as a member of PFS. Christine’s research focus is original practice youth Shakespeare, particularly as it applied to child acting companies in Elizabethan times. Her practical goal is to discover how original practice techniques might be applied to modern education and performance.